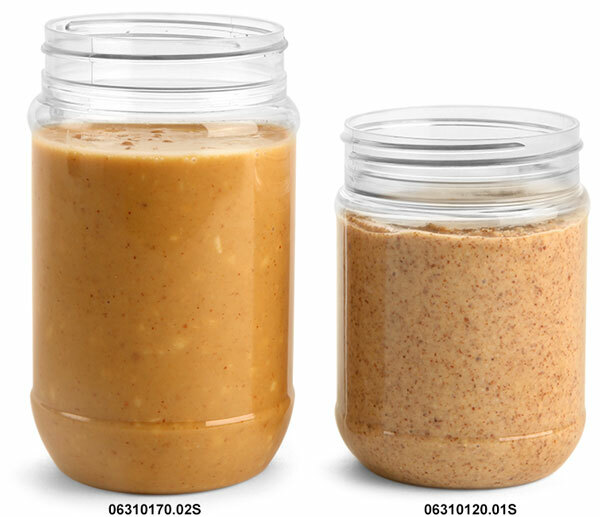 These clear PET jars could be a good option for packaging peanut butter, almond butter, and various other spreads. 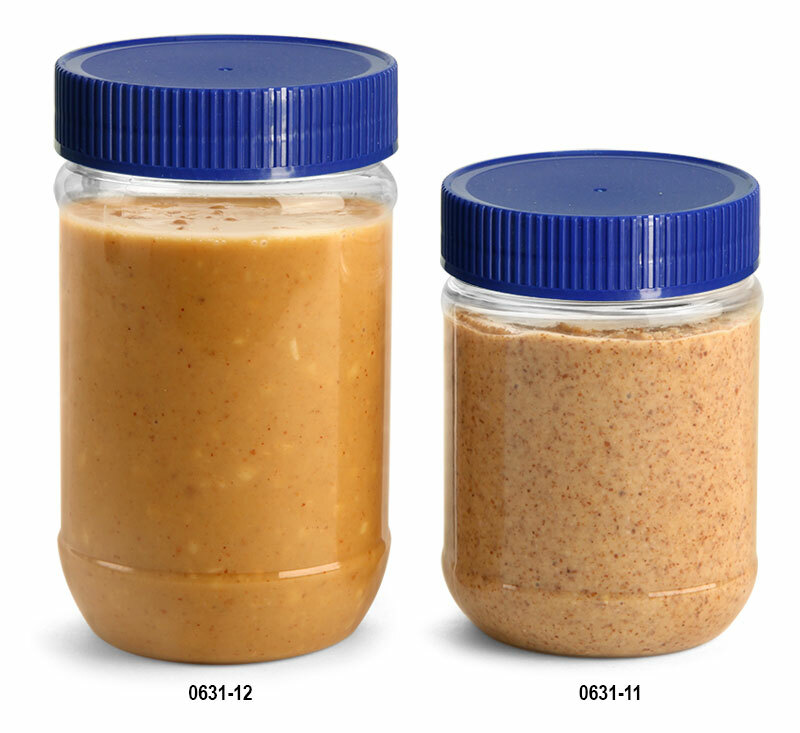 They are paired with blue ribbed caps with induction liners that are printed with "Sealed for Freshness" and will help to keep product fresh when applied properly. These jars also feature a wide mouth to make filling easy.